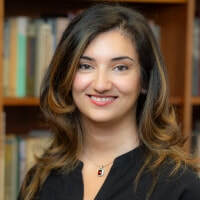 Monday, Jan. 28, 2019, 12:30 – 2 p.m.
Speaker: Narges Bajoghli, Assistant Professor of Middle East Studies, School of Advanced International Studies (SAIS), Johns Hopkins University. She is an award-winning anthropologist, filmmaker, and writer. Narges' academic research is at the intersections of media, power, and military in the Middle East.